Looking for a great teacher gift for the holidays? I just checked out the great soy candles available from “mine design co” and their write-on candle is truly unique. 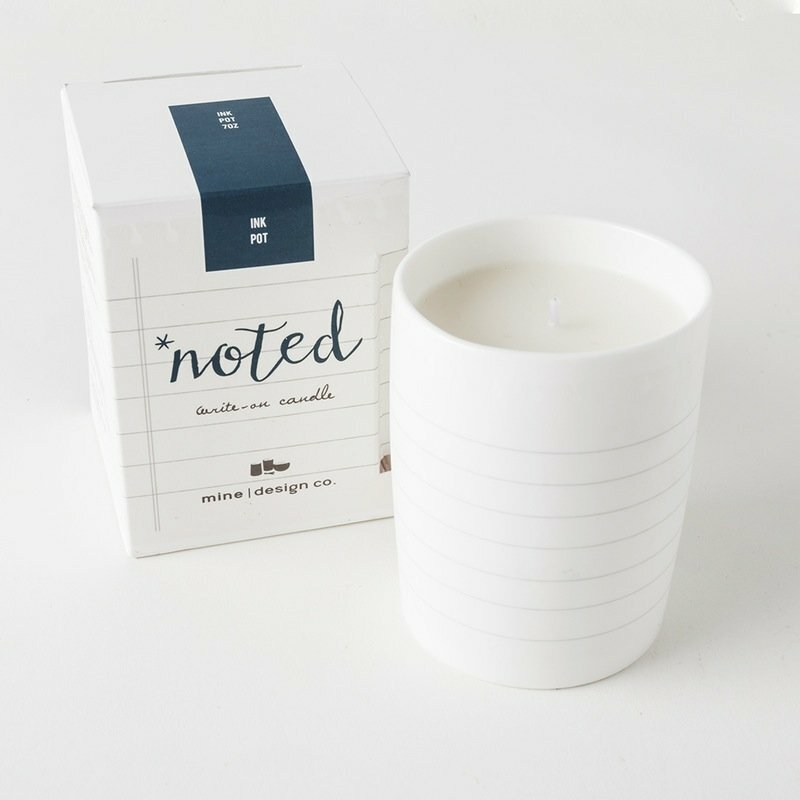 This 7 oz candle comes with a pencil for you to jot down your thoughts; write a poem, a memo of gratitude or even a love note. Wanna write something different? Simply wipe down with a wet cloth or erase and begin again. There is an array of scents to choose from; I adore “Field Guide”; super clean and sweet smell that will have your home smelling wonderful within moments. What a unique way to tell that special someone (teacher, friend, spouse etc) exactly how much you love them. In the spirit of preserving the environment you can also reuse the ceramic pot the candle comes in. All of their candles hand poured botanical waxes combined with natural cotton wicks. They are priced around $24.00; I am going to grab a bunch as hairdresser, teacher, bus driver gifts etc. Please check out http://minedesignhome.com for more information. Great Games from Blue Orange!